SPCF (South Pacific Christian Fellowship) dreams to ignite a passion for planting in people throughout Australia & New Zealand. They do this by planting as many healthy, biblically focused Christian Churches as they can; leading through transformational influence in the local communities and life- changing generational leadership development; and connecting with networks of like-minded churches and individuals to perpetuate the planting of more churches. We support Randy and Mikki Brooks. CSF exists to share the love, truth & purpose of Jesus Christ with college students...changing the world one life at a time. We reach out to students who grew up in the church, as well as those who are searching for answers to life's biggest questions. Through Bible studies, service projects, lunch tables and plenty of fun stuff, we simply want to meet students where they're at. We currently are active on campuses in Omaha, Lincoln, Kearney, Norfolk & Peru State. Deaf Missions exists for one purpose: To effectively communicate the Gospel of Jesus Christ with deaf people. This statement merely focuses the Great Commission of Jesus, which is to preach the Gospel to all people, on a group of people who have generally been left out. Midwest Christian Services is a unique residential program because of its Christian philosophy. MCS is a social statement of God's love. Through modeling, authentic love, nurturing and teaching, the Board and staff of Midwest Christian Services will provide an environment in which positive changes can be made and the journey to wholeness can begin. Risen Son Christian Village is a continuous care retirement community that is able to promote independence while providing peace of mind, ensuring that as the needs of our residents change, we will be able to accommodate those changes. As a faith-based organization, we strive to provide resident- centered, cost-effective health care programs and services to each and every resident in our community. Nebraska Christian is committed to finding students who are interested in church leadership, preparing them in the classroom and providing them with practical experiences through our First Serve program, internships, the residency program, and the Institute. They are walking with them into their ministries, encouraging, equipping and being a source for them to continue to learn. A commission formed to give encouragement and support to military chaplains from the Christian/ Church of Christ churches. Also gives encouragement and support to chaplains in hospitals, police, fire/ rescue, and pastoral counselors. Joshua and Ruth Barron serve on the CMF church planting (or “church catalyst”) team in Kenya, partnering with the CMF-planted churches which began among the Maasai and Turkana peoples. They accomplish this with Curriculum Development; Training of Teachers; Bible Training Institutes; Discipleship Training Schools; and Maa Bible Translation. KontaktMission sends missionaries in partnership with churches around the world. Their missionaries plant churches and serve to build up the body of Christ. These churches and ministries multiply, starting more new churches and raising up more new missionaries to be sent. LATM (Literature and Teaching Ministries) collaborates with missionaries and national church leaders to provide culturally relevant, Christ-centered books in the heart languages of people throughout the world. Born out of extraordinary prayer, Team Expansion partners with the lgobal church to mobilize, train, and coach qualified workers in the implementation of the fruitful practices of church planting movements. Wildewood supports the Pagel's in Taiwan and the Vaughn's in Asia. Jim and Teri Riley (and their family) have been serving in Honduras for several years. They planted a church in Tegucigalpa, Honduras and have been discipling Christians of all ages in that setting. They frequently have short term mission teams come alongside them for ministry. Hands of Compassion helps plant churches in Asia. Due to the sensitive nature of the mission work in some difficult places, we are unable to publish more information about this mission. 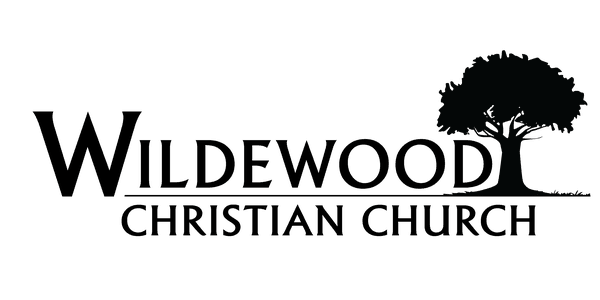 Wildewood exists to make disciples through evangelism and nurture in the greater Omaha area. We seek to Love God and Love Others. We strive to Follow Jesus daily, no matter what! We desire to Live the Word Daily. Copyright 2019, Wildewood Christian. All Rights Reserved.